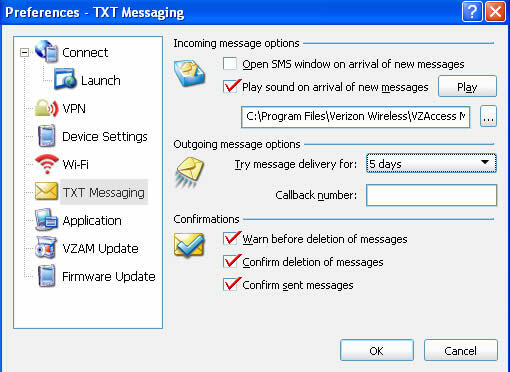 Text messaging window appears when a new message is received. A desired sound is played when a new message is received. Outgoing messages attempt delivery for 1 hour, 6 hours, 1 day, 3 days or 5 days. A confirmation message appear when messages are deleted. A confirmation message appear when messages are sent.